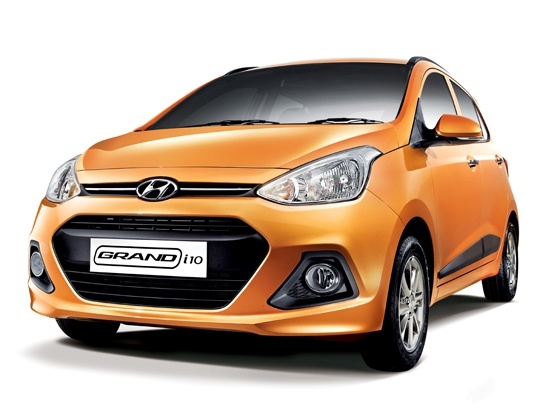 Grand i10 is made on a completely new platform and will not replace the current i10. The new car will be positioned between the existing selling i10 and i20 and will come with a newly developed U2 1.1L Diesel motor. The new diesel engine will be manufactured at the company's new third engine plant at its existing Chennai facility. The car along with CRDi motor will also be sold in 1.2L VTVT Petrol motor. Hyundai has focused on the wheelbase and the rear seat comfort for this car. The car though is a global one and will be sold in all prevelant markets of Hyundai, however still this is a "Made for India" car with an elongated wheelbase and rear seat to comfortably seat 3 adults. The Grand i10 is bigger in size than current i10 and as you could see in the images - is much more beautiful than the current i10. The car has low profile roof rails, completely new and fantastic looking front headlamps and tail lights. If we go to interiors, the dashboard is black with a big insert inbetween the dashboard as found in other cars with theme used as beige + black. Almost all parts inside you would see a hint of beige color and the door handles are typical Hyundai's and picked from Verna. The top end Grand i10 will get chrome color door handles. 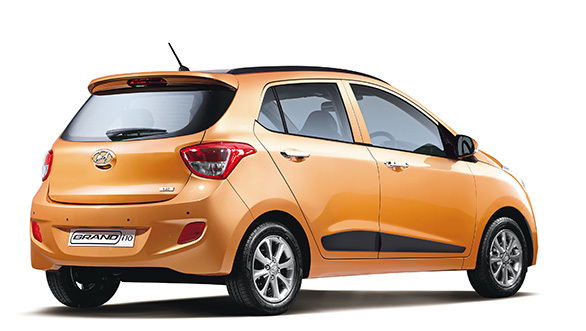 A start stop system will be offered on higher variants of Grand i10. 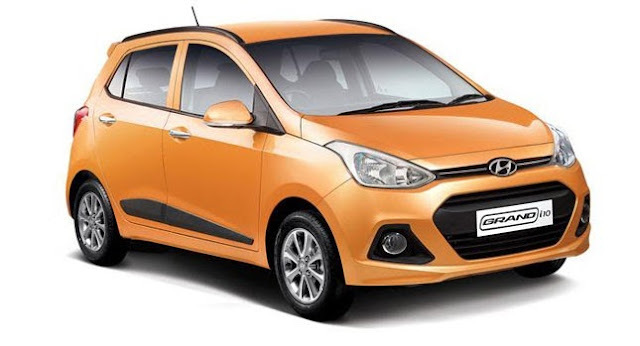 ABS and Airbags will form a part of the safety kit for Hyundai's Grand i10. Alloy wheels will also be offered on top variants. Though the new car would not have reverse parking camera, but reverse parking sensors will form a part of the deal. The car gets a new in built music system with inbuilt 1GB of music storage space. The audio system has CD, AUX-In, USB and Bluetooth streaming capability. The steering wheel gets integrated audio + phone controls. As already told above, the entire focus of Hyundai has been rear seat and the new car can easily carry 3 adults. Even the taller 6 foot guys can easily accommodate at the back. The presence of rear AC vents add to the comfort of rear seat passengers.Across the vents, you also gets a 12V charging slot. Cubby holes are found everywhere and as far as practicality goes, the Grand does the job well. Summing it up, the Grand i10 is a fantastic package for a family looking a beautiful yet economical car with a Diesel motor. With Hyundai's brand image already built in market, expect the car to sell around 5,000 units a month easily. But we will have to wait and watch how much does this car cannibalize the younger sibling i10. The car should be launched in September. Stay tuned for a global unveiling.